Hojoki: The discovery of giant oarfish at the coast of Japan continued - there were also fears that it was "precursory of the earthquake"
The discovery of giant oarfish at the coast of Japan continued - there were also fears that it was "precursory of the earthquake"
(CNN) Recently, a rare deep-sea fish, giant oarfish, one after another was found at the coast of Japan. There was also a legend that this fish was a "precursor of an earthquake", and in the Internet the voice of worry had also been raised, but scientific relevance had not been confirmed. On the first [February] in Toyama bay, two giant oarfish were found on a stationary net. Since last autumn in Toyama prefecture off the cost of Imizu, already a 4-meter-long giant oarfish was found hooked inside a stationary net. At the coast of Uozu city, one giant oarfish of 3.2 meters in length was washed ashore. ​A total of 5 numbers had already been confirmed. 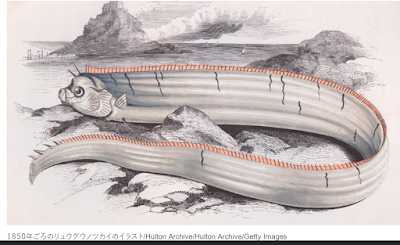 Giant oarfish was characterized by a silver body and a red fin, and it lived in deep water at a depth of 200-1000 meters. There was also a legend that it was the precursors of earthquake, but scientific relevance had not been confirmed. Kazuya Nishima, a keeper at the Uozu Aquarium told CNN that "there is no scientific backing in the theory that giant oarfish appears before and after a major earthquake, but we cannot deny 100% such a possibility". It was said that influences of global warming and unknown factors might be reasons for its discoveries in succession. Before the Great East Japan Earthquake that occurred in March 2011, it had been reported that more than dozens had been washed ashore over the coast of Japan in a year. 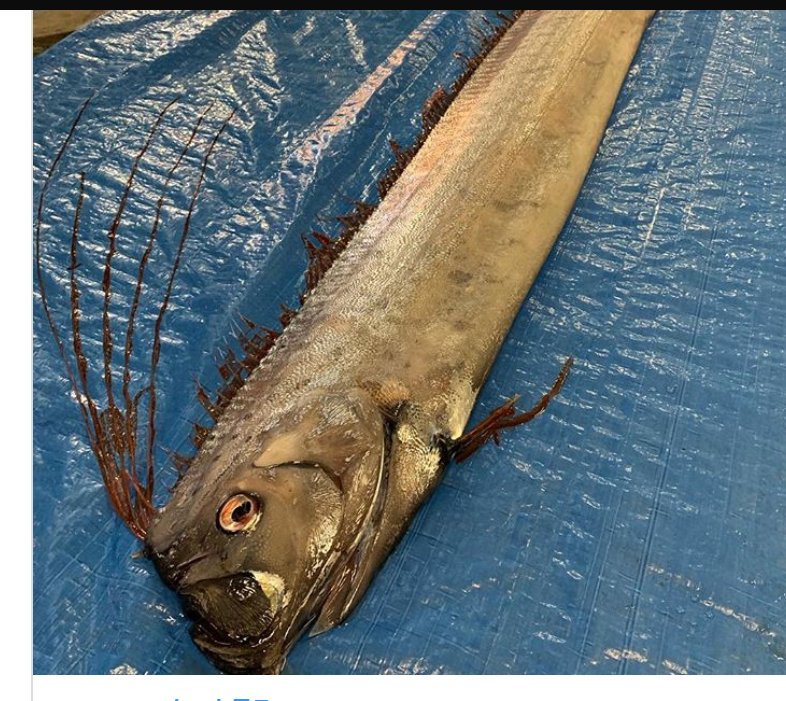 Mr. Nishima pointed out that ocean current changes due to a slight crustal deformation that occurred at the seabed before the earthquake might cause the giant oarfish to float near the sea surface. According to Director Osamu Inamura when krill, a feed of giant oarfish, rose to the surface of the sea, giant oarfish would move and follow them and appeared at the coastal area. I am interested to know why krill rose to the sea surface suddenly. News about deep-sea fish being caught was often reported in Japan, for example please see my blog dated 18.6.2014.